A Taste of Andalucía. Part 1: Culture. This is unbelievably delicious, especially considering how simple it is. Raw tomatoes, raw garlic, a little vinegar, and old bread soaked in water. Add some spices and a ton of olive oil, and that's it! The bread and oil make it rich and super creamy -- this one is definitely thick enough to merit a spoon! And it's easy enough that I'll happily make it for you when I get back. If I know you in real life. What we think of as paella is not true paella. According to Andalusians, anyway. 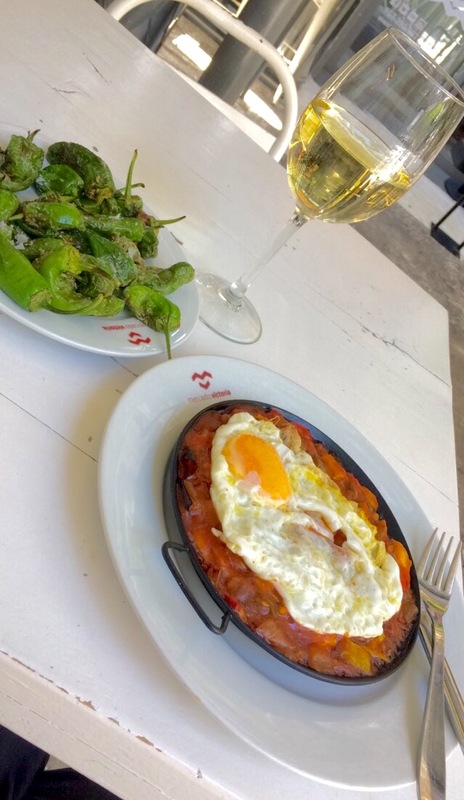 The ingredients of true paella vary only based on the seasons, and are always limited to the following: artichokes, asparagus, long beans, chicken, rabbit, and snails. Plus rice and tomato sauce and seasonings, of course. If you add seafood, it's not seafood paella, it's just seafood rice. 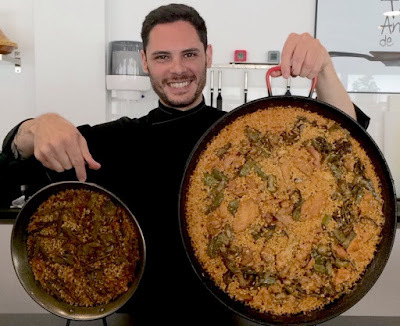 If you take out all the proteins, it's not vegetable paella, it's just vegetable rice. But it's not just the ingredients that have been compromised for the tourists. It's the occasions, too. Andalusians cook and eat paella out in the countryside with groups of friends. It's a simple social dish, similar to a Sunday barbecue in the US. It would be very unusual for them to order it in a restaurant -- something like us ordering a hot dog. So unusual, in fact, that most restaurant paella in Andalucía is frozen, not fresh. Sangria is to drinks what paella is to food. Delicious and Spanish, yes. Something to be ordered in a bar or restaurant, no. This is the sangria equivalent that you'd actually order when you go out. It's red wine mixed with Fanta or lemonade. Everyone says it's delicious. Lunch at 2:00ish is the main meal of the day, so dinner at 10:00ish often consists of small plates. Generally one small plate accompanies each drink. Conflicting rumors attempt to explain the origin of the tapas tradition. One rumor says the king put some bread on *top* of his beer to block the sand while on the beach in Cádiz. One says Sevillian tobacco factory workers put bread on *top* of their beer to block the factory debris. One says bartenders, sick of obnoxiously drunk customers, put bread on *top* of their bottles to slow the inebriation. Personally, I don't really care how it started, I just like to eat them. By far my best tapas experience was in Granada. Other parts of Andalucía offer delicious and affordable tapas too. But in Granada, every time you order a drink no matter what, you get a free tapa. Even if you don't order one. And they're always bigger and more delicious than you expect. Alright, so I'm a little obsessed with Adalusion food and drink. But you knew I was going to bring up flamenco too, right? It's predictably much deeper and more nuanced than I'd previously realized. I can't say I understand all the depth and nuance now, but it sure is beautiful. And powerful. 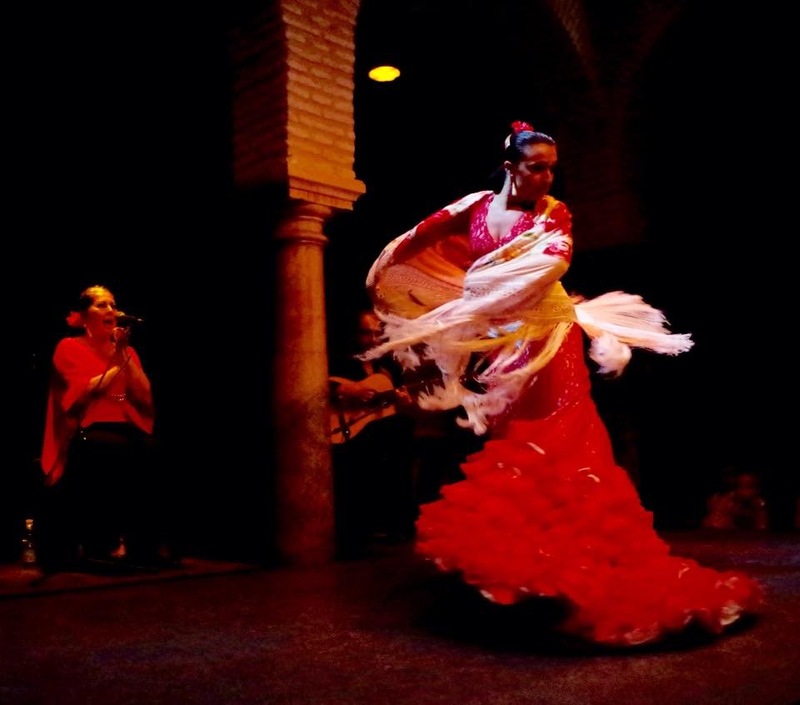 I highly recommend seeing a show at the Museo del Baile Flamenco if you find yourself in Seville. Obviously Andalucía has a TON more to offer besides this little sampling. Stay tuned for Part 2: Sightseeing! 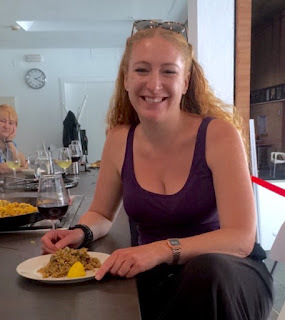 *Most of the corrected food misconceptions I learned at an awesome cooking school called Taller Andaluz de Cocina in Seville. It was in a little instructional kitchen right in the middle of the Triana market. Definitely check it out! You should check out shows at Casa de la Memoria and also and my favorite Las Casa del Flamenco ( Santa Cruz ) !! !